The holidays are right around the corner. It is a joyous season and an exciting time of year. We get to teach our children about the birth of our Savior. How awesome is that? The kids are enthusiastic, the stores are festive, and the community beams with activities and events for the season. The holidays are a time for joy and focusing on the birth of our savior! Yet, so many things in this world try to distract us from that joy. How can we stay intentional and battle against the potential stress holidays can produce? I remember spending our first Christmas as a family of four. I had a two year old and a two month old. We spent the majority of the day in the car. The kids were tired, cranky, and basically just along for the ride. I didn’t plan fun activities for the car ride. The day was spent with most of us in tears. I didn’t really consider how to plan the day so they would enjoy and it hit me like a ton of bricks -Christmas is supposed to be joyful! I have many fond memories of holidays as a child. Now, as a parent, it is part of my role (with a lot of help from God and others) to build joyful memories for my children. Jesse Tree - Our family loves using the Jesse Tree to teach our children about the birth of Christ. 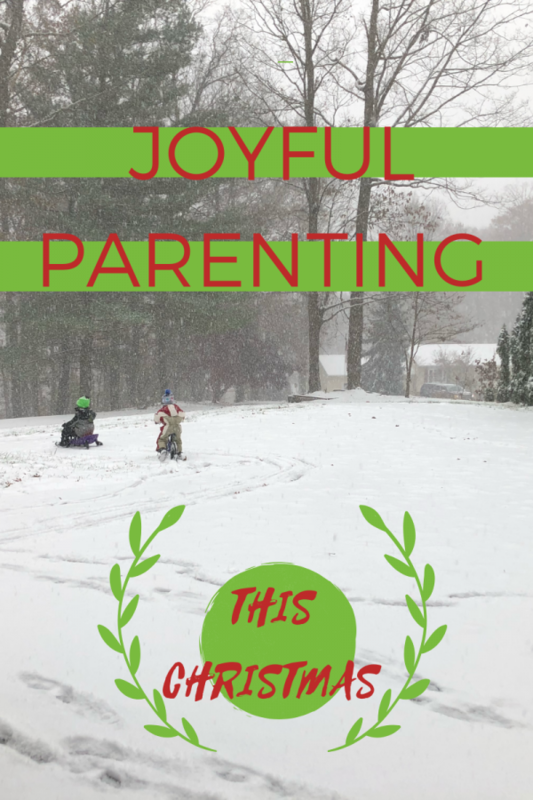 It is a fun family activity that we do leading up to Christmas. Church - We attend one Christmas church service. Before having three little children, I could easily participate in multiple church services. This no longer works well for our family. Serve - We choose one additional time commitment service project during the season. This year we are partnering with Safe Families (a part of Building Families for children). We know our efforts are part of their larger vision and trust in the work they do for families. Gifts - We select presents that are meaningful for each child. We consider their ages, interests, and needs. We value quality over quantity. Relax - We reserve extra down time in our schedule for relaxing –with an increase in social gatherings, some of us need extra time to recharge. Fun - Last year our friends invited us to go on a Train ride and a kid’s amusement park with a great light show. This experience was a lot of fun and perfect for my kids and their ages! Less Stress - We drive around to look at Christmas lights -the past two years we opted NOT to decorate our exterior because it was adding stress instead of joy. We can’t do it all and that was a cut we decided to make. Decorating – I play the Christmas tunes and go to town decorating our interior and complete some Christmas crafts. Cooking and Baking – I am not a great meal planner and being responsible for 21 meals a week is already a challenge for me. So, I bake when and if I can. If a toddler dumps a bunch of extra vanilla or purple food coloring into my dough batch I don’t worry. We have fun and do it together. Results are questionable. If it’s good, I’ll share but I’ve learned the hard way not to pre-commit myself to cookie exchanges or complicated recipes. (You’re welcome friends and family.) Maybe when my kids are older this will change because I actually enjoy baking, but my house can quickly turn to chaos if I try to do too much. I’m grateful for others who can manage it all. It is not my strong suit. That is my list. This works for our family for now. Things may change as our family changes and that is fine. 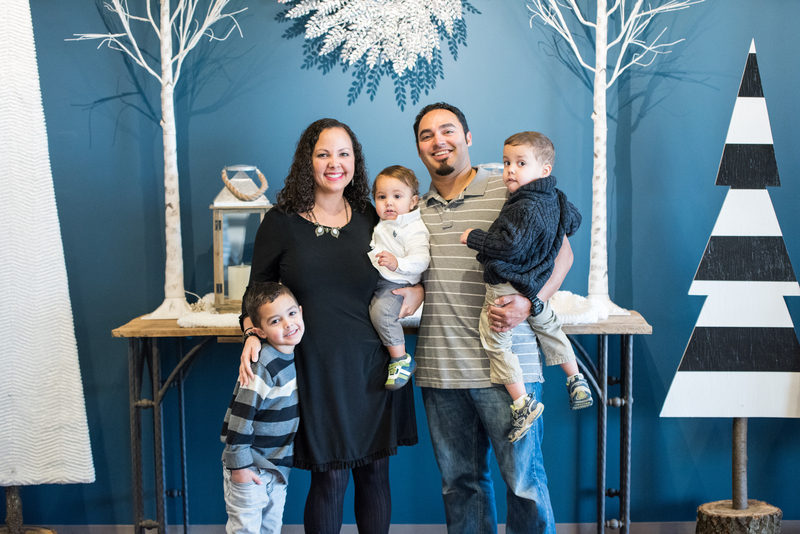 Staying focused as a family on Jesus first and our family needs second helps us to have joy during the holidays. Something I hope my children find in their lives and in their memories. It is my prayer for you to have joy this season!